Kill Bill Vol 1 and 2 are two of my favorite Tarantino movies, but I always asked myself if it's possible to have a single movie of under 3 hours. It is! 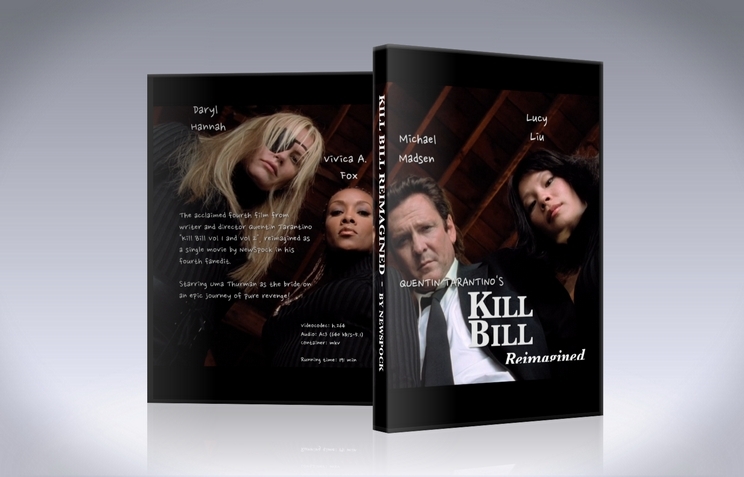 I also was not a friend of the visible chapter titles and the voice-overs by "Kiddo", so I removed them, and with some additional trimmings and other changes, "Kill Bill Reimagined" was born. To combine them into a single 3 hour movie. My special thanks go to Neglify for previewing, giving feedback and providing a "Kill Bill" font! 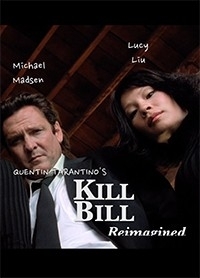 I always asked myself if it's possible to form Kill Bill Vol 1 and 2 into a movie of under 3 hours for it. It is! I also was not a friend of the visible chaptersigns and the voiceovers by "Kiddo", so I removed them, and with some additional trimmings and other changes, "Kill Bill Reimagined" was born. Amazing, full 1080p resolution and great audio as well. Most cuts and edits work fine, but others do not. The crazy eighty-eight battle suddenly fades out and back in, and it just didn't make sense, unrelated scenes are spliced together and it's just straight up confusing. Although most edits are 100% unnoticeable, certain edits take away from the experience. The movie is now three hours long, which isn't bad at all. But it feels so much longer due to poor pacing. NewSpock talked about how the first movie is all action and the second is all story, this is completely true, but the edit is just shortened versions of each movie in order, so it leaves the same narrative problems intact. Although you may think I just bashed the crap out of this edit, I still thoroughly enjoyed it, after all, it is Kill Bill.